South Seas is one of the most incredible daylilies in the garden, but we haven't been able to get a photograph that does it justice. Garden visitors constantly tell us how impresive it is, and that they hadn't even considered buying it until they saw it in real life. 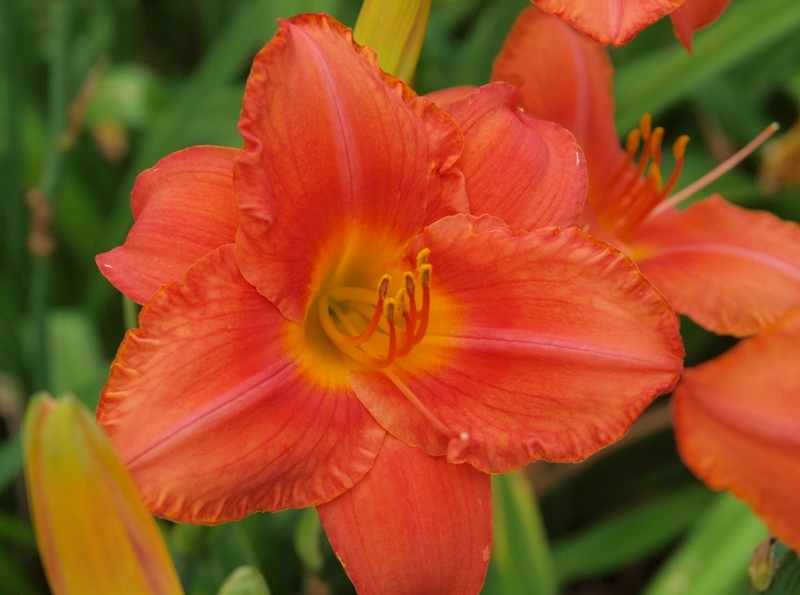 Described as tangerine coral with a coral red band around a green yellow throat, we think this is a hot, hot daylily that stands out in the landscape. Clumps show near perfect form with solid bloom scapes over foliage that constantly gets an excellent rating. Registered as Reblooms and Fragrant.